It is Festive Friday in the UK and we would like to share with you our Festive Friday Giveaway. It is a wonderful initiative by the Greeting Card Association. It has the sole aim of creating a wonderful wave of love and you can read all about here. All you have to do is Share and Like our posts on social media by 9pm TODAY for a chance to win this pack of 6 Christmas cards! Follow us on Twitter, Facebook, or Instagram for a chance to win. Good luck and Happy sharing! Every event is an occasion for somebody and the greetings industry does its best to make sure there’s a card out there to cover them all. We have enjoyed a bit of a chat with the Editor of one of the trade magazines, Greetings Today and we are grateful that our opinion mattered. We have been mentioned in the latest issue of the magazine and you can read the full story by clicking on the link here. 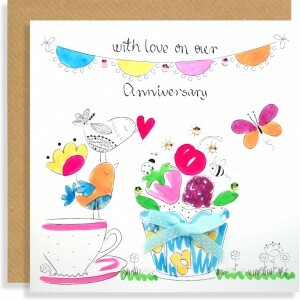 Here is a selection of some popular cards for anniversary and new home. 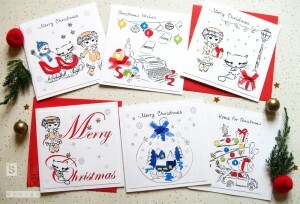 Next time you are on the look out of a special card for a loved one, think of us www.sabivo.co.uk. 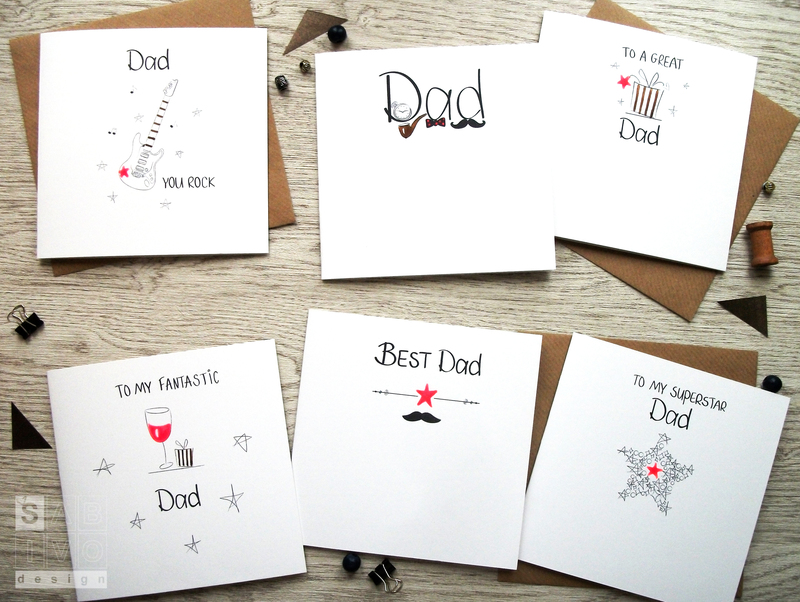 I am truly delighted to have finally found time to design some cards for Dads. With Mums stealing all the attention and gratitude, Dads seem to be always overlooked. It has certainly been the case with me and designing some male cards. 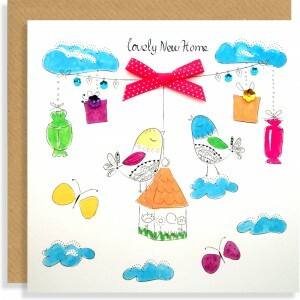 So, I am very pleased with the new release of Dads cards. The quirky, hand-lettered designs are part of our best-selling XO range. All six designs are hand-drawn and have pops of red neon colour that keeps them on-trend, while the open captions assures all year round sales for retailers and card sending for customers. I think you would love to know that our cards are designed and manufactured in England and are very competitively priced to ensure they fly off retailers shelves and that they can pass great value to their customers. All retailers are welcome to contact us, should they require paper catalogue and a sample card. The new range is available to order now and also will be exhibited at Spring Fair International. We would love to see you all at our stand 3W18. I hope you like them as much I as I loved designing them.